MMT Mining Services are proud to supply a range of sunblinds which are manufactured to reduce glare and maximise protection against damaging UV rays. Our range of full block to semi-transparent blinds are easy to install using standard mounting points, which eliminates the need to drill any additional holes. 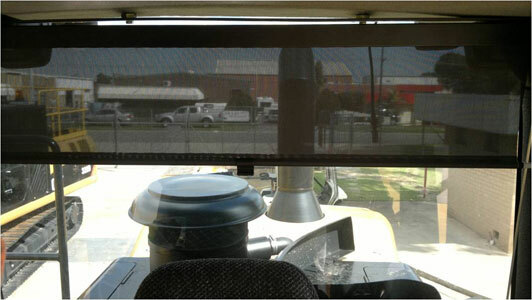 Our sun blinds are also easily adjustable, making them suitable for a wide range of machinery, trucks, loaders, excavators and earthmovers. 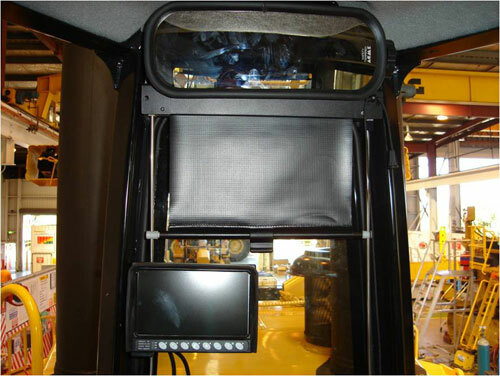 They are very popular in mining vehicles as they help to protect machine operators from damaging UV rays whilst working on site. We offer full installation with all of our blinds where required. Depending on your requirements our blinds are available in the following styles: sun blind, scissor blind and pretension blinds. For more information on the types of blinds available along with the materials used refer to our blind presentation which can be viewed below, or contact us for a quote.